If you don't want to blame your footprint on your car or you're home, that's OK. Here's a simple way to reduce greenhouse gas emissions at one low price. Offset 1,341 lbs. of CO2 for $12.50. In the Northeast Power Coordinating Council region of the United States, 1,341 lbs. 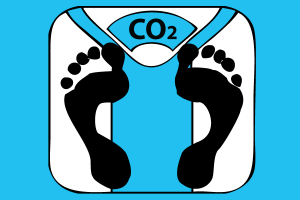 of CO2 are offset by 1 megawatt hour of electricity from a renewable energy source (1,000 kWh). For every mWh you offset, you will receive a renewable energy certificate for removing 1,341 pounds of CO2 from the environment. The average individual in the United States is responsible for 30,000 lbs. of CO2 per year, equivalent to 22,371 mWh of renewable energy credits. To offset this amount, simply type in the number 22 and proceed to checkout. It's that simple.